Wedding flowers inspiration from Tineke for wedding flowers in Derbyshire. Hello & HAPPY NEW YEAR! I hope you all had a fantastic festive break, any recent engagements out there? 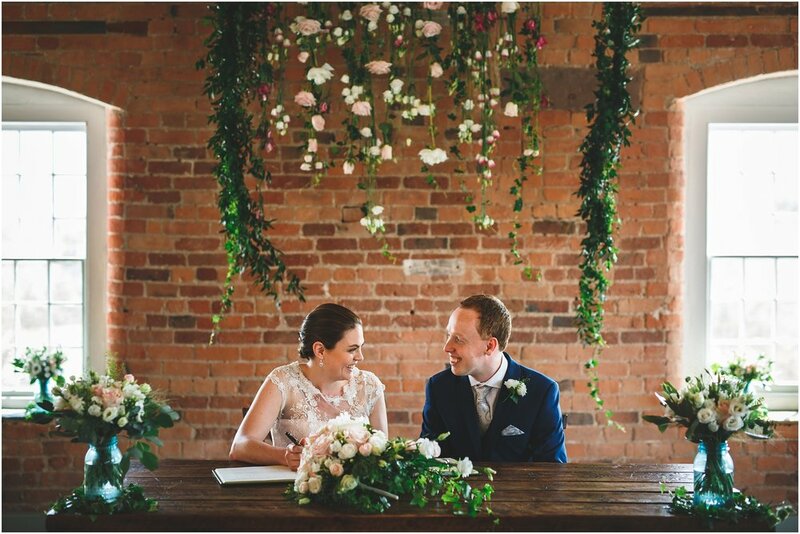 *woo many congratulations* With the majority of us all back in the swing of things I thought I’d add some pretty wedding flowers inspiration to your day, so grab a cuppa, whilst we take a look at some weddings trends to look out for in 2014. I am a major fan of tipi’s, (teepees, never too sure?) They look like so much fun and décor wise, despite their size, they’re relatively easy to dress up. Bunting, tassels and pom poms look drop dead gorgeous hanging from the beams and come in a wide range of colours to suit your big day. Fairy lights look equally as beautiful and when the lights go down a whole new magical atmosphere sets in. Festival chic isn’t necessarily about muddy wellies and adding an elegant twist, it can look quite rustic and vintage. Think about teaming pastel colours and wild flowers with little handmade elements to bring a whimsical relaxed feel to your wedding style. I love the idea of knocking up some wooden signage to direct your guests where to go. One thing I think we’re going to see more of this year, is mobile catering and street food. We’re talking revamped vintage vans, food shacks and mobile bars, bringing you delicious food, evening snacks and cocktails. This less formal style of wining and dining fits wonderfully with the festival chic theme and would definitely get your guests talking. Next up we’re turning our heads to big, bright pops of colour. Bold patterns such as chevrons made a statement in 2013 and throughout the New Year I think they’ll be joined by other striking patterns such as spots and stripes. This look is perfect for when you can’t quite make up your mind or, if like me, you just love colour. If your venue is a blank canvas, introducing pops of colour through pom pom and giant balloons works really well and adds an element of fun. You could even carry the theme through to your fashion, how cute are those green shoes! There’s no end to what you can do with style, and if pretty pastels aren’t your thing then colour popping could be the way forward. The One to Watch – Pantone Colour of the Year. You may know of or follow the Pantone Colour of the Year, 2013 was Emerald Green and this year, may I introduce Radiant Orchid. A colour said to encourage creativity, love and joy! Their words, not mine. I do quite like it and think it could suit a variety of wedding styles, used in big blocks it may be quite over-powering, but little hints of this juicy and rather elegant colour would look stunning. What do you think, are you a lover of these purples hues or is not quite floating your wedding boat? One thing is for sure those macaroons look to die for, they always do don’t they? The pretty little beauties.